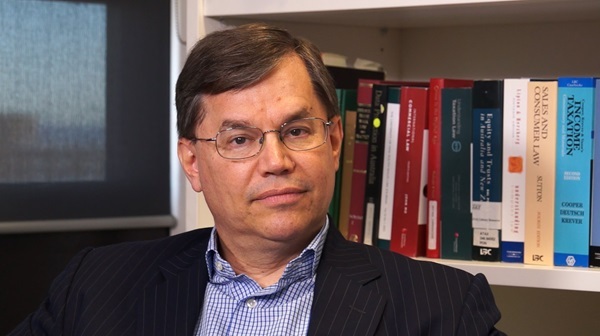 Joseph Gyourko is the Martin Bucksbaum Professor of Real Estate, Finance and Business Economics, & Public Policy at The Wharton School. In this interview, Gyourko talks about housing supply, how regulations and zoning affects housing supply and affordability, housing supply in China and the US, and more. Hites Ahir: Before the Great Recession hit, you co-authored a paper in 2005 titled: “Why Is Manhattan So Expensive: Regulation and the Rise in House Prices”. It is one of your most cited papers. What did you find? 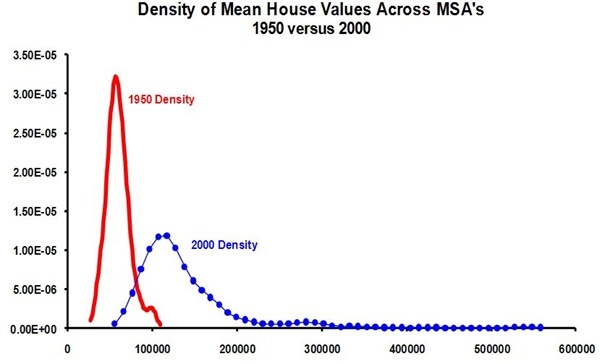 Joseph Gyourko: Ed Glaeser, Raven Saks (now Molloy) and I concluded that it was the interaction of strong latent demand for markets such as Manhattan combined with restrictive or inelastic supply that largely accounts for relatively high house prices in those places. Strong demand itself is not enough. Dallas has very strong demand, as population has grown substantially over many decades; yet, its constant quality house prices have not risen much at all in real terms. What is different about Dallas is plentiful building whenever prices rise enough for developers to supply new homes and make a normal profit. In Manhattan, local authorities are able to impose sufficiently high costs on new development (or simply limit it outright), so that higher demand results in higher prices without much increase in the number of housing units. Note that higher demand is essential, not just regulatory constraints on new supply. A market could dramatically limit the ability of builders to build, and it would not matter for price unless demand were strong enough to bid up house values. Hites Ahir: When the Great Recession hit in 2008, you co-authored another paper titled: “Housing supply and housing bubbles”. It is also one of the your most cited papers. What did you find in this paper? Joseph Gyourko: In this paper, Ed Glaeser, Albert Saiz and I formally incorporated the supply side of housing markets into a model that allowed for price bubbles. One key conclusion was that markets with more elastic supplies should have fewer and shorter bubbles than markets with inelastic supply sides. That bubbles could arise in elastically-supplied markets provided insight into what might have happened in the so-called ‘sand state’ markets of Las Vegas and Phoenix, which the data show do allow plentiful building over time. That paper also showed that the welfare consequences of overbuilding are larger in these same markets—largely because so much product can be supplied in these markets. Overoptimistic mispricing of homes in inelastically supplied markets such as San Francisco does not generate much new housing, so fewer real resources are misallocated. Hites Ahir: After the Great Recession hit, much of the discussion and research focused on the irrational and speculative behavior of lenders and borrowers. There was no discussion on the impact of regulations on housing supply. Why? Joseph Gyourko: I think the reason is that demand for housing had fallen so substantially after the global financial crisis, that home builders were no longer constrained by even the most severe local restrictions on building. This change in focus makes good sense to me, as the problem was insufficient demand, not excessive supply side restrictions. As noted above in my answer to your first question, it is the interaction of strong demand with inelastic supply that leads to high prices and affordability problems. Supply restrictions themselves lose their policy relevance in the face of weak demand. The missed opportunity from a policy perspective, I believe, was not understanding that they would become relevant again as soon as demand recovered sufficiently. Demand recovered first in our supply-constrained coastal markets. I believe we should have tried to loosen restrictions in the most constrained markets such as the Bay Area and New York during the downturn, but that time is past. Hites Ahir: Residents in certain cities tend to oppose new housing construction, while in other cities, there doesn’t seem to be any opposition. What could explain this? Joseph Gyourko: That is a great question, to which we do not know the answer. Some smart Ph.D. student in economics is going to become famous for answering it, and she will deserve the fame because the causes are not obvious. In one sense, we see more restrictions in larger coastal markets on both side of the United States. That coastal trait is common, but these cities come from very different states, with different tax climates and attitudes toward government. Their business sectors differ appreciably, too. Political leanings and industry mixes vary widely across elastically supplied markets in the interior of the country, too. As noted, it is not obvious what the driving force is. What we do know is that prior to 1970, differences in local regulation and in house prices themselves, were not nearly as wide as they are today. Something changed in the 1970s, with California coastal cities initially imposing binding constraints on new residential development. Other cities on both coasts followed over the next decade. Hites Ahir: Are you in favor of no zoning and no regulations? Joseph Gyourko: No. I am a traditional housing and urban economist in this regard. New construction imposes real costs on its immediate neighbors and the broader community. Pollution is one, with congestion (on the roads, schools, etc.) being another. It is economically efficient to internalize these negative externalities by ‘taxing’ the developer in some way so the full costs of development are priced and paid for by the builder. 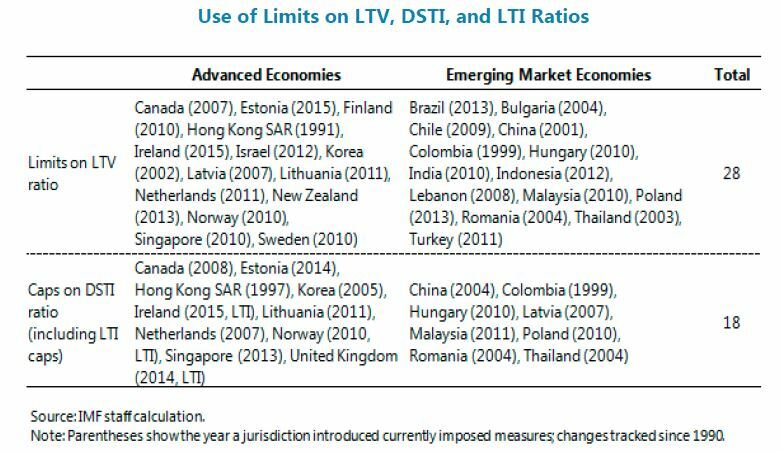 What I am not in favor of is excessive regulation that imposes costs much higher than could be justified by spillovers. That results in too little development and creates affordability problems for the poor and the middle class. In the ‘Why Is Manhattan So Expensive’ paper you asked about in the first question, we found that what we term the ‘regulatory tax’ was roughly twice as high as the true negative externalities generated by new development in that market. Hites Ahir: Is there a city or a country that gets zoning and regulations right? Joseph Gyourko: Yes, most American housing markets, especially those not located along our east and west coasts get it right. In forthcoming work, Ed Glaeser and I conclude that most housing markets in the interior of the country function so that the price of housing is no more than the sum of its true production costs (the free market price of land plus the cost of putting up the structure) plus a normal entrepreneurial profit for the homebuilder. That is what we teach should happen in our introductory microeconomics courses—namely, that price paid by consumers in the market should equal the real resource cost of producing the good (housing in this case). These well-functioning housing markets exist in a broad swath of the country outside of the Amtrak Corridor in the Northeast (Washington, D.C. to Boston) and the major West Coast markets from Seattle all the way down to San Diego. The bulk of the population lives in these well-functioning markets, by the way. They just are not focused on by the media. Hites Ahir: You have also looked at areas where it is relatively easy to build housing vs. not relatively easy to build (due to regulations). What can policymakers do in the latter areas—where regulations have effectively capped the supply of housing? Joseph Gyourko: The simple answer is to undo the regulations that are inefficiently constraining new housing unit production. Unfortunately, that does not happen. One reason is that political support for limitations on new housing supply is strong once the restrictions are in place. The Washington, DC, market in which you live tends to be fairly restrictive. Ask your colleagues who own homes if they would vote for politicians who eliminated restrictions that resulted in a substantial increase in housing production that, in turn, lowered the value of their own homes at the same time. And, that is what substantial new supply would do (all else constant)—lead to a fall in house values. There is a case for national or federal intervention, too, but I doubt that is going to happen either. The economists Enrico Moretti and Chang-Tai Hsieh argue that aggregate national productivity is harmed because some of our most productive metropolitan areas are too small because they do not allow sufficient new home production. While I might quibble with the size of their estimated impact on productivity, I agree with their basic point. In that case, it would make sense for the federal government to compensate (say) San Francisco homeowners for the fall in their house values from increased production in the Bay Area—if that is what it takes to get them to allow more local housing production. The political problem with that solution, of course, is that it requires the median taxpayer in the country (who lives in a low cost housing market without binding supply constraints) to compensate residents of markets that have imposed their own supply restrictions. I will not be holding my breath waiting for this outcome to materialize, which means that I think we are going to be living with these restrictions for some time. Housing Supply in the U.S.
Hites Ahir: “Economic Implications of Housing Supply”—is your new paper with Edward Glaeser. The paper says: “The older, richer buyers in America’s most regulated areas have experienced significant increases in housing equity. The rest of America has experienced little growth in housing wealth over the past 30 years.” Can you talk about that a little? Joseph Gyourko: Sure. The point we are making is straight out of an intermediate microeconomics class. The answer to the question of who benefits from higher prices that result from binding restrictions on the supply of new housing is the owners at the time the restrictions were imposed. Restrictions began to be imposed in many west coast markets in the 1970s, with east coast markets in the northeast following the next decade. Thus, it is the people who owned in those markets at those times who enjoyed the most appreciation in their homes. Those people tend to be senior citizens today, and even if they do not earn relatively high incomes, they are wealthy because of the real capital gains on their homes. Hites Ahir: There are reports of U.S. cities where housing is becoming unaffordable. Is this mostly due to the fact that these markets have inelastic housing supply? So the adjustment is on prices and not on quantity? Or would you say that credit is too tight? Or a combination of the two? Joseph Gyourko: It is the combination of strong demand with inelastic housing supply that is critical. Our coastal markets with the most inelastic supplies also happen to be very attractive places with highly productive business sectors. Thus, many people want to live and work in these markets. This strong and growing demand results in home prices being bid up in the absence of sufficient new homes to house everyone who wants to live and work in one of these markets. Everyone has to live somewhere, so we get affordability problems for the middle class, not just the poor, in these places. Finally, I think credit supply problems are a relatively minor factor in the affordability issues facing teachers and police in markets such as the Bay Area. Hites Ahir: What is the impact of building restrictions and zoning on housing affordability? Joseph Gyourko: If they limit supply sufficiently relative to demand, then the existing housing units will be rationed by price. Richer households will be able to bid more to live in their preferred markets, so we get the sorting of the rich into the higher priced coastal markets. This is the phenomenon described in my Superstar Cities paper with Todd Sinai and Chris Mayer. The data on sorting by the rich increasingly supports that thesis over time. Hites Ahir: In normal times, how much do house prices deviate from average, where supply is elastic vs. where supply is inelastic? Joseph Gyourko: There is not necessarily a ‘normal time’ for this difference. The divergence in home prices between low cost, elastically supplied markets and high cost, inelastically supplied markets has been growing over time—since 1950, at least. This can be an equilibrium phenomenon and does not necessarily indicate mispricing or the presence of a bubble in the expensive coastal markets. If the supply constrained markets are attractive and productive, people will pay more to live in them; as this bidding process unfolds, the rich will sort disproportionately into these costly markets. This can generate a spiral up in prices, and it can last a long time. In 1950 for example, housing in the most expensive metropolitan areas was about twice as costly as in the average market. At the turn of the century in 2000, the most expensive metros were at least four times more costly than the average market. I expect that gap to widen over the coming decade. Hites Ahir: You have also looked at China’s housing market. What is the current state of housing supply in China? Joseph Gyourko: There is a very large amount of homebuilding in China. One reason is the very high growth rate of the country, including in terms of household income, which allows people to buy homes. In addition, China has experienced what must be one of the great rural-to-urban migrations in the history of the world. China’s National Bureau of Statistics reports that there were about 212,000,000 more people living within the urban boundary zones of its cities in 2010 than there were in 2000. That is about two-thirds of the population of the United States. Housing had to be built for those people. Hites Ahir: Overall, China has been building a lot of homes, yet prices don’t seem to be affordable. Why? Joseph Gyourko: It is not entirely clear why, but basic microeconomics applies in China, not just America. When I see high and rising prices, I immediately think that demand is growing faster than supply. The in-migration to cities noted just above makes it clear that demand for urban housing has been quite strong. That begs the question of whether there are binding limitations on supply. Two coauthors (Professor Jing Wu of Tsinghua University and Professor Yongheng Deng of the National University of Singapore) and I have estimated the growth of supply versus demand in 35 major cities. We find large differences across markets. In the so-called Tier 1 cities of Beijing, Shanghai, Shenzhen and Guangzhou, growing demand appears to have outstripped supply. In contrast, a number of internal markets appear to have substantially overbuilt even strong urban demand. Among these cities are Chongqing, Chengdu, Guiyan and Harbin. Beyond good old-fashioned supply and demand, there are unique features of the Chinese culture and economy that help explain very high prices. Culturally, there is a strong preference for ownership, which boosts demand. Shang-Jin Wei and Xiaobo Zhang have shown that housing is a status good that is useful in signaling in the marriage market, and that this can explain some of the variation in prices across markets. 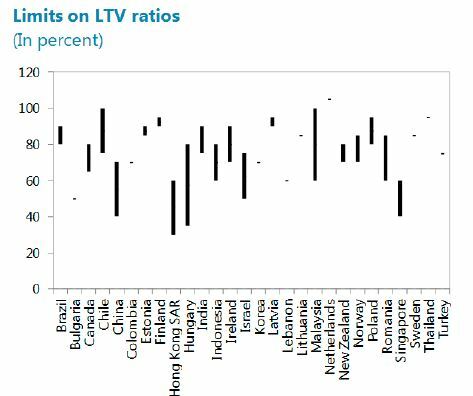 Housing also is seen as a store of value by many Chinese, who either do not trust banks or do not want to earn the very low interest rates (negative in real terms over many years) paid on bank deposits. I also think that many Chinese households believe their government will do everything it can to stop a major decline in house prices. This strikes me as a form of moral hazard, and it makes me worry about the fundamental underpinnings of the housing market. 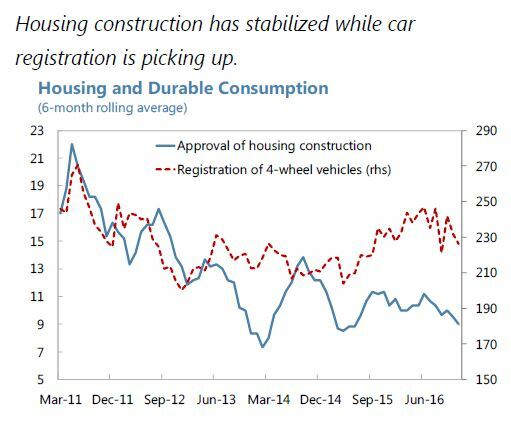 Hites Ahir: Are there any key parallels and differences between housing supply in China and the U.S.? Joseph Gyourko: I don’t really know enough to answer this question. The institutional contexts are so different between the two countries. In China, the local government owns all the land within its urban boundary zone. Developers have to purchase the use rights (for up to 70 years for residential buildings) if they want to build a high rise and sell units to people. Technically, this is a monopoly position for the government. That could not be more different from the situation in the U.S., where homebuilders have to buy acres of land from private owners, with title changing hands. That said, one similarity between the countries is that the quantity of new supply varies greatly across markets. And, at least some of the growing price in our coastal markets and China’s Tier 1 cities appears due to supply simply not increasing fast enough to satisfy very strong demand for housing in those markets. In that sense, it is a mistake to think about there being a single, national housing market in either country. What exists is a series of connected, but very local markets, some of which are strong with others being weak. 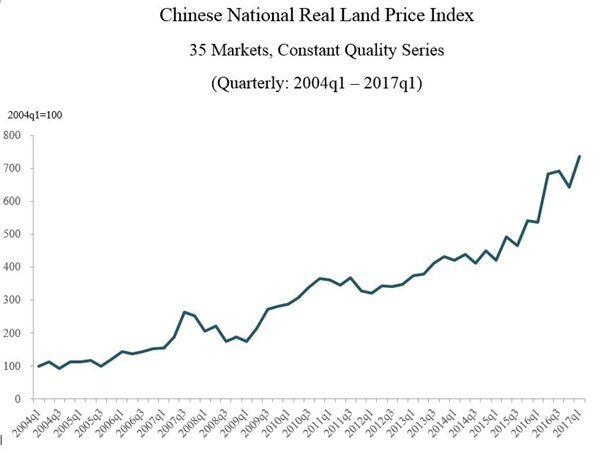 Hites Ahir: In collaboration with the National University of Singapore and the Tsinghua University, you created a land price index for major Chinese cities. What does the latest reading of the index show? Joseph Gyourko: We just finished updating the 35 city aggregate index for the first quarter of 2017. Land prices continue to boom in these markets. The constant quality real price index rose 14% from the last quarter of 2016, and is 37% higher than it was only one year ago in the first quarter of 2016. Hites Ahir: How can we make “housing plentiful and affordable”? Joseph Gyourko: Allow more building. In a well-functioning market with elastic supply, prices should be equal to fundamental production costs. In most American markets, that is no more than $200,000-$250,000. Hites Ahir: What kind of questions you would like future research on housing supply to address? Joseph Gyourko: I want to know the answer to your fourth question—why does the San Francisco market regulate so differently from other interior markets in California and the rest of the country. I also think we need a crash course on Chinese housing markets. That country is more than big enough that everyone around the globe will care if something goes really wrong with its housing markets. My talk to the Parliamentary Network on the World Bank and IMF: still trying to make the case to parliamentarians that unemployment and job creation often have as much to do with central banks and finance ministries as with labor and education ministries. “Credit growth continues to be subdued, and activity in the housing market remains at the low level. 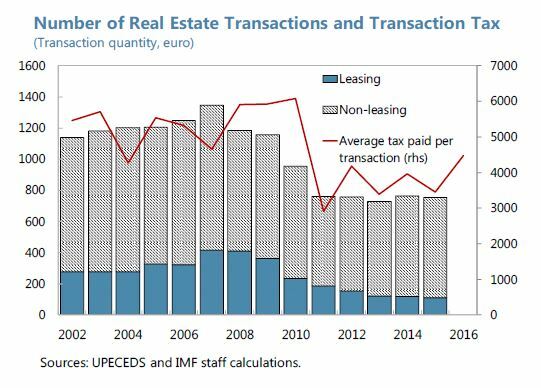 (…) In the housing market, the number of real estate sales remains low, but the average tax per transaction for non-leasing properties, which is likely correlated with real estate prices, has stabilized”, says IMF report.